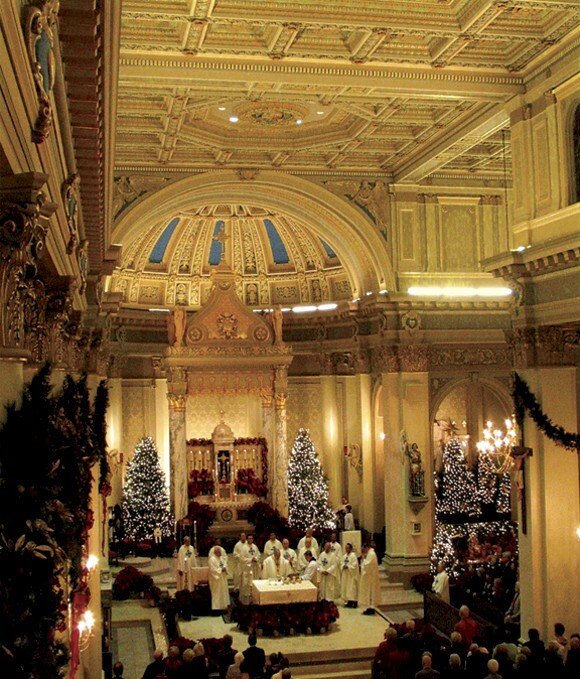 To restore the original interior of St. Joseph’s Co-Cathedral. 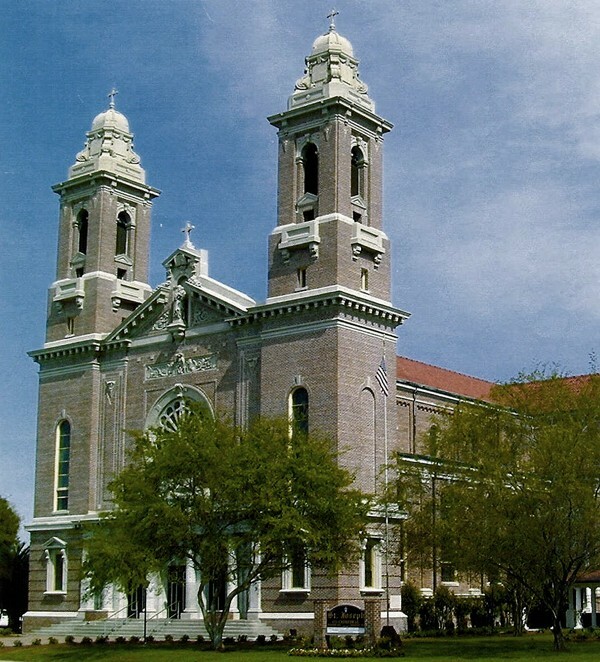 The oldest parish in the Diocese of Houma-Thibodaux, Louisiana, St. Joseph was created as a Mission of Assumption in 1817. 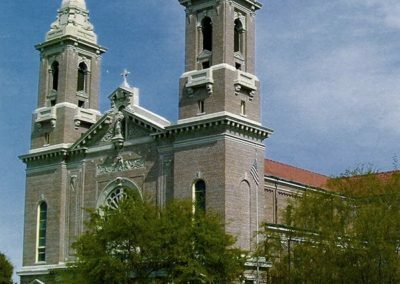 Now St. Joseph Co-Cathedral, the landmark Romanesque Revival church has been the parish home since 1923. 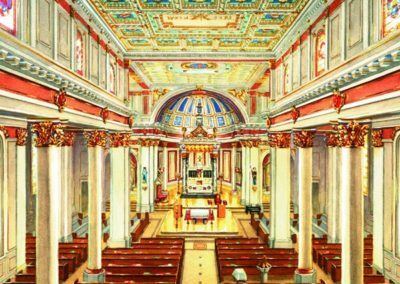 The cathedral’s original decorative paint scheme was created in 1954 by the Conrad Schmitt Studios. When CSS arrived fifty years later, the historic edifice showed the effects of time, moisture damage and poorly executed repairs. Under the direction of His Excellency, Bishop Samuel Jacobs and Reverend Jay Baker (Pastor), a committee of parishioners and professionals assembled to guide the restoration. After sealing the entire exterior, the Conrad Schmitt Studios accepted a generous invitation to begin investigation of historic finishes. 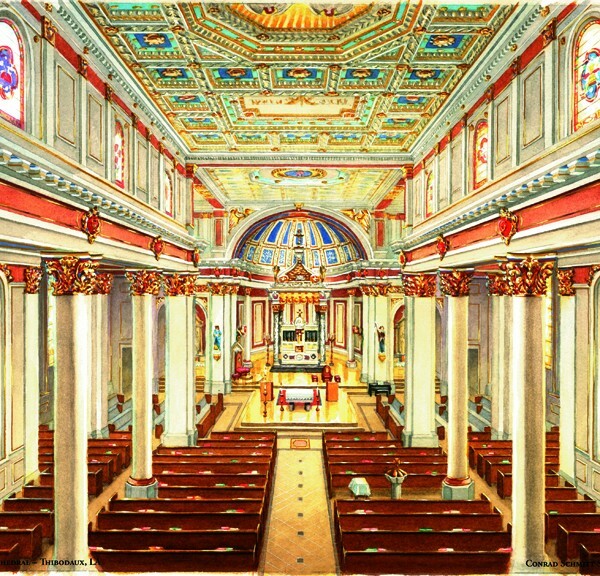 Using information from Studio archives, CSS created an on-site sample illustrating the Cathedral’s original decorative scheme. 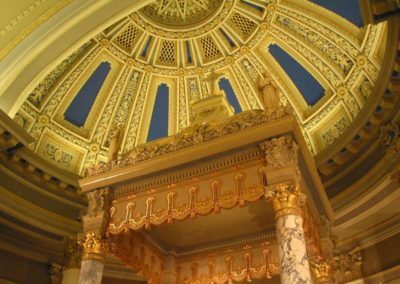 With the committee’s input, the decorative sample and color design renderings were updated to more accurately reflect the congregation’s present needs. 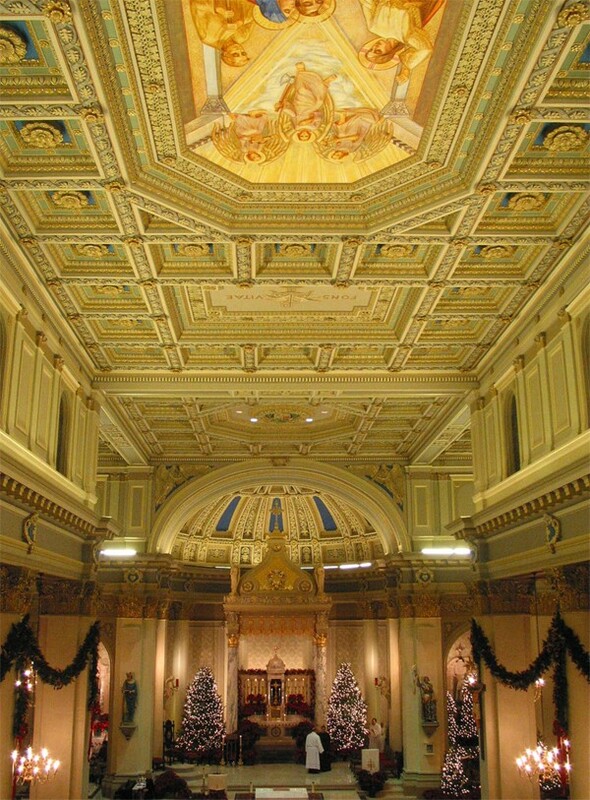 During construction, craftsmen restored damaged or missing ornate plaster elements to their original artistry. 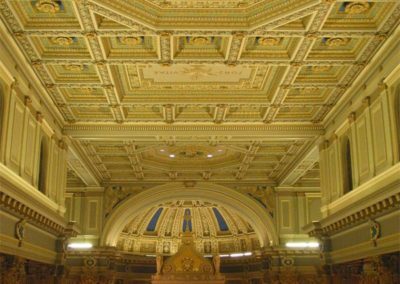 CSS designed a new color scheme, stencil motifs and gilding to harmonize with the interior’s current architectural and liturgical elements. 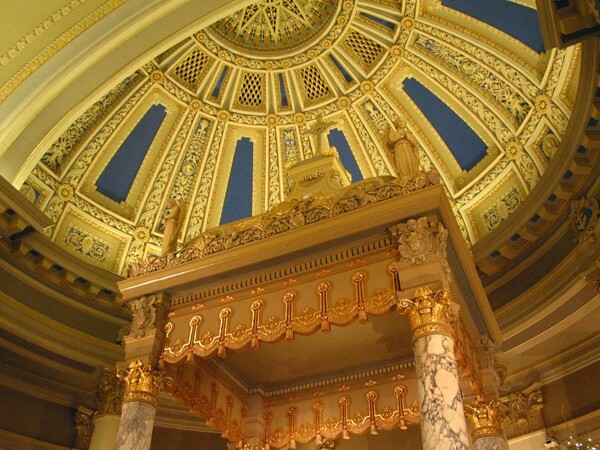 The restored Cathedral demonstrates the commitment of the parish to strengthen and renew their own faith and preserve the grace and beauty of their worship space for future generations.